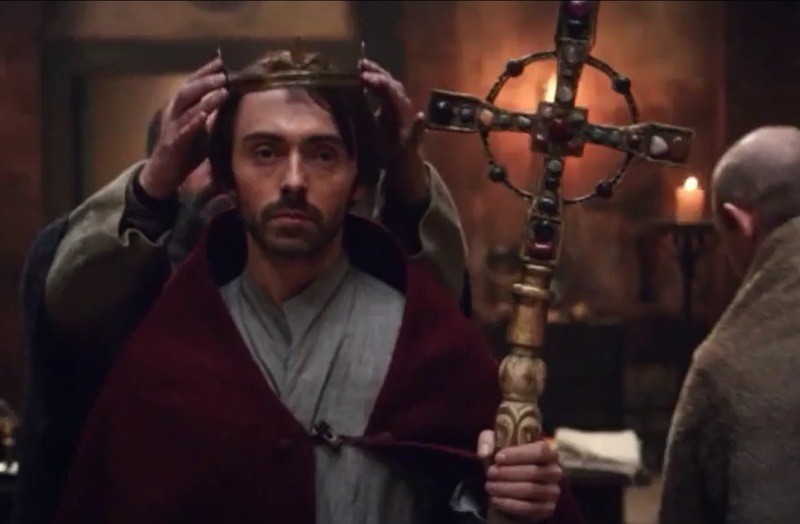 Temporary cure for Viking withdrawals: Last Kingdom update! First, a huge apology for the delay in posting lately! I know many of you are suffering already from Viking withdrawals and come here to get a small dose of it to hold you over in the long waiting for raiding season. I want to assure you that I am currently working on an article about Horik and Ragnar that is taking much longer than I anticipated. It is almost finished and hopefully I will get it posted within the next few days. If you read my previous post about Kings, I mentioned that I would look closer at those Kings. The upcoming article will look at Horik, Ragnar, the history of Danish monarchy, and it will give a bit of what the future holds for a few of Ragnar’s sons, such as Bjorn and Ivar in history. 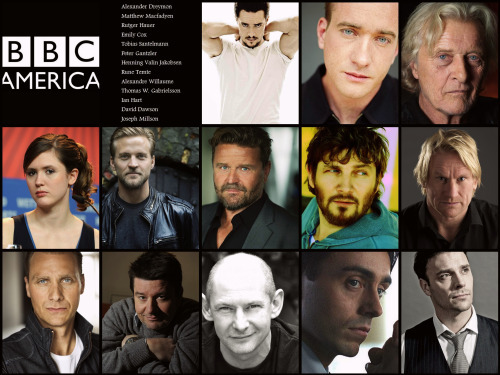 While you’re waiting patiently for that article, I thought perhaps you might enjoy a look at some other Vikings who will be coming to a small screen near you sometime next season… Hopefully! YES! 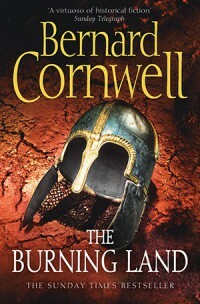 I have an update concerning my other favorite Viking story- The Last Kingdom/Warrior Chronicles by Bernard Cornwell. 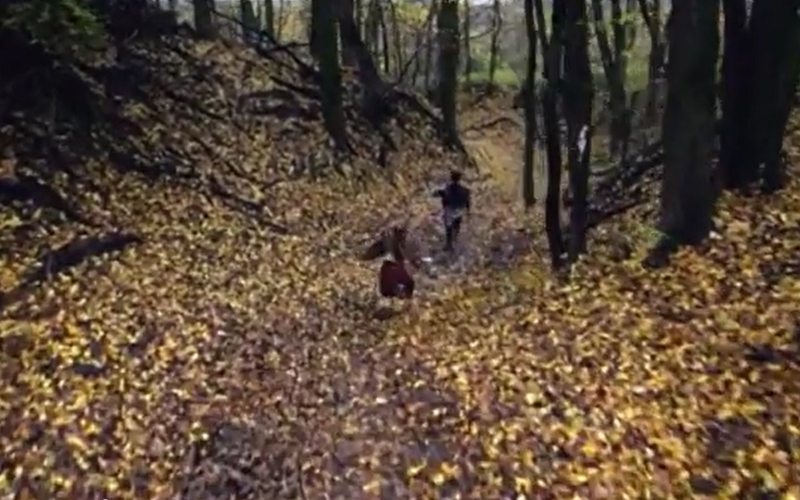 They have released a very short but powerful promo clip. I have mentioned this book series before, but it is well worth refreshing your memory and reminding you again to go read this series… go read this series now! What are you waiting for, you have a long season of Viking withdrawal to face and I can only remedy that draught in such small ways. I promise that this 8 book series about Uhtred of Bebbanburg will keep your Viking craving satisfied and satiated for some time! Uhtred of Bebbanburg is a young boy living at Bebbanburg Castle in Northumbria when the Viking armies arrive on their coastline. 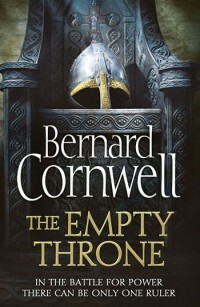 Uhtred’s Father and older brother are killed, leaving him the heir to Bebbanburg, a fact that he never forgets and never stops trying to reclaim throughout the books. As a young boy, he is captured and raised by the Danes who are taking over and settling in Northumbria. His life becomes one of torn loyalties. 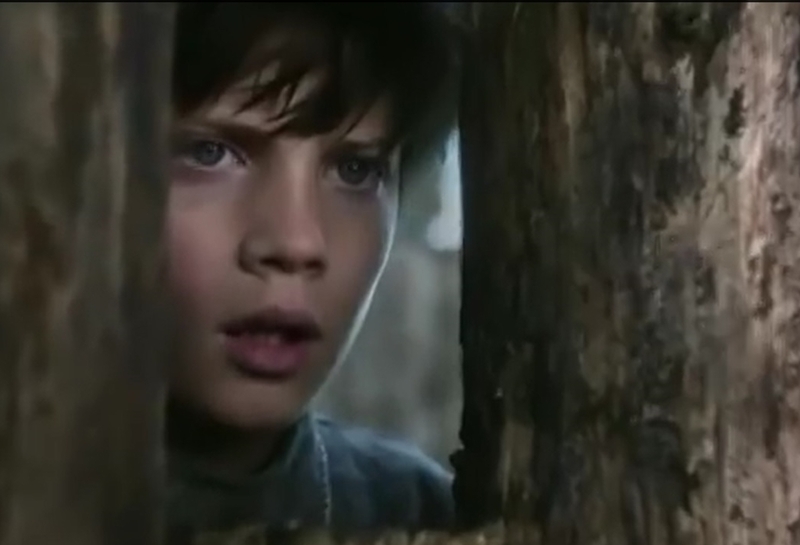 This series ties in well with the Vikings saga, especially once Michael Hirst makes the time jumps next season and transitions Ragnar’s younger sons toward adulthood and their eventual path to England to fight against Ecbert’s grandson, King Alfred. 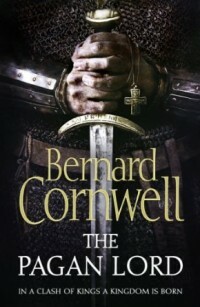 What you will find in Bernard Cornwell’s version of the history is a story of the same events and some of the same people from a different perspective. Uhtred, who is raised by the Danes and holds close ties to them throughout his life, will end up fighting for the Saxons and King Alfred. 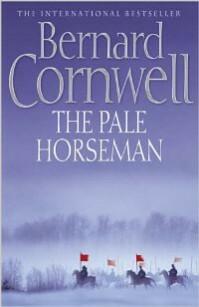 In Uhtred’s heart, he is a pagan, a friend and family of Danes, but he must make decisions that most often go against the Danes because of his own personal code of honor, and belief in what is right or just. He is ever bound by oaths he has sworn and by his desire always to claim Bebbanburg as his own one day. He starts out with the Danish armies marching against the southern Kingdoms of this un-unified country. Along the way he is forced into the situation of having to switch sides and fight with the southern kingdoms against his friends, the Danes. The series is compelling and honest in telling his story and his feelings about both sides of the conflict. In reading and watching this series come to life, you will see Uhtred come face to face with Ragnar’s sons, Ivar, Ubba and Halfdan. He will eventually meet Ubba in combat and have to kill him. You will see his uneasy alliance with Ecbert’s grandson, Alfred unfold and throughout that uneasy following, you will see there are times when Alfred actually acts a bit like Ecbert in the way that he uses this allegiance to his advantage, and makes promises that he really has no intentions of keeping. The Last Kingdom series is being produced for television by BBC2 and BBC America and is currently in production on locations in the United Kingdom and Hungary. They are keeping their secrets well guarded and under close wraps. The production began last November and we received a short blurb and sketchy cast list shortly after that. The very short promo trailer I’ve shared has only just recently come out in the last week. Hopefully this is a sign that they will be showing us more soon! Some of the secrecy may be due to the fact that much of the filming is taking place in Budapest, Hungary. The series is being described and compared to the Vikings saga and to Game of Thrones. It is full of heroic deeds and epic battles but with a thematic depth that embraces politics, religion, warfare, courage, love, loyalty and our universal search for identity. Combining real historical figures and events with fictional characters, it is the story of how a people combined their strength under one of the most iconic kings of history in order to reclaim their land for themselves and build a place they call home. This is a cast list poster that I just found on tumbler… so I know there are other fans out there anxiously awaiting this show! 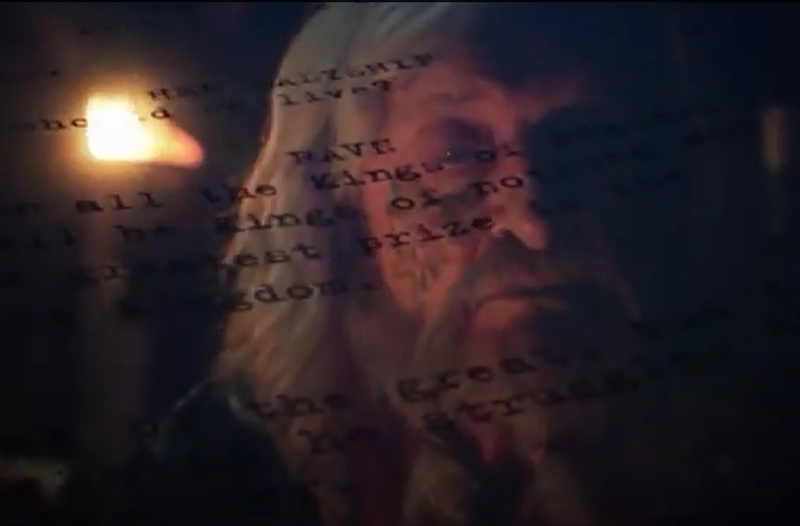 In this series, King Alfred plays an integral and important role in shaping the events of Uhtred’s life. 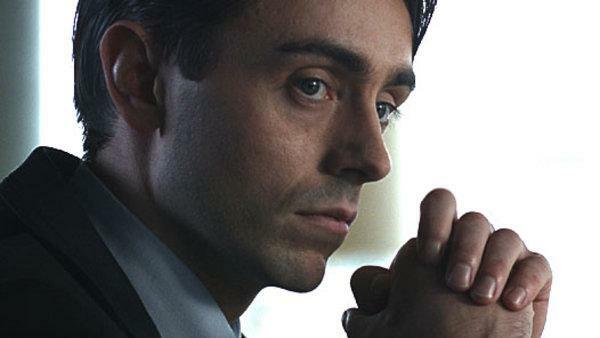 David Dawson has been cast in this role. Dawson was born in Widnes, England and attended Fairfield High School and Warrington Collegiate Institute before being accepted to RADA on the acting programme in 2002. Whilst in high school he was a member of the Musketeer Theatre Company where he played Dogberry in William Shakespeare‘s Much Ado About Nothing amongst other roles. At just 17 he wrote a play called Divorced and Desperate which ran at the Queen’s Hall Theatre, Widnes, for three nights. A year later he wrote and starred in the play The Boy In The Bed at the Tower Theatre, Islington with financial backing from Barbara Windsor and Julie Walters to whom he had written for help. David also has a younger brother, James. After leaving RADA in 2005, Dawson’s first professional role was as understudy to Kevin Spacey as the eponymous hero of Shakespeare’s Richard II for Trevor Nunn. Dawson has appeared in the television shows Doc Martin, The Thick of It, Damage and Up Close and Personal. 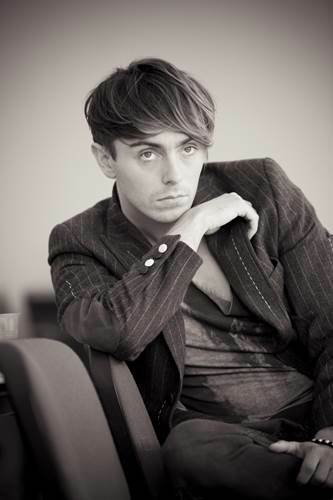 He also played Harry Parr Davies in the BBC drama Gracie! about the life of English singer Gracie Fields. He starred as Coronation Street creator Tony Warren in the BBC drama The Road to Coronation Street. He played Toby Kent in three episodes of the second series of Luther for the BBC. In 2012, Dawson appeared in two BBC Two literary adaptations, playing Bazzard in The Mystery of Edwin Drood and Poins in Henry IV, Parts I and II. He later appeared in all three series of Ripper Street. Now, if all of this information has not been enough to spark your interest in this excellent series, I am going to leave you with a list of the books in the series and some youtube clips of readings and promotions of the books! As I mentioned earlier, there are currently 8 books in the series with another one due out early next year! The Last Kingdom is the first book in the series. An awesome reading from Lords of the North by Richard Armitage! 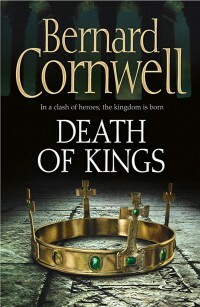 Bernard Cornwell talks about his latest novel from his acclaimed King Alfred series. Uhtred, once Alfred’s great warrior but now out of favour with the new king, must lead a band of outcasts north to recapture his old family home, that great Northumbrian fortress, Bebbanburg. Loyalties will be divided and men will fall, as every Saxon kingdom is drawn into the bloodiest battle yet with the Danes; a war which will decide the fate of every king, and the entire English nation. You may be wondering suspiciously now if I have begun to turn traitor- switching my allegiance, my alliance and my devotion from Ragnar and his group to Uhtred…. Let me assure you that I do not look at this alliance as any betrayal to our Vikings saga! I have always admitted my keen interest in all of the history, Saxon as well as Viking. Uhtred speaks to my heart in that often torn and tested loyalty. As I have already stated, Uhtred of Bebbanburg is a friend to the Danes as well as some of the Saxons. He tells the story of this invasion and this war from the perspective of a great warrior caught in the middle of it trying to balance those loyalties and save his family and friends on either side! When you are looking at events of history and life, it is always wise to look at all of the sides involved. I am looking forward to seeing both stories play out in the future and will be dividing my time between both stories! So, go now… go off to find a copy of Last Kingdom and read for yourself, the story of Uhtred of Bebbanburg! 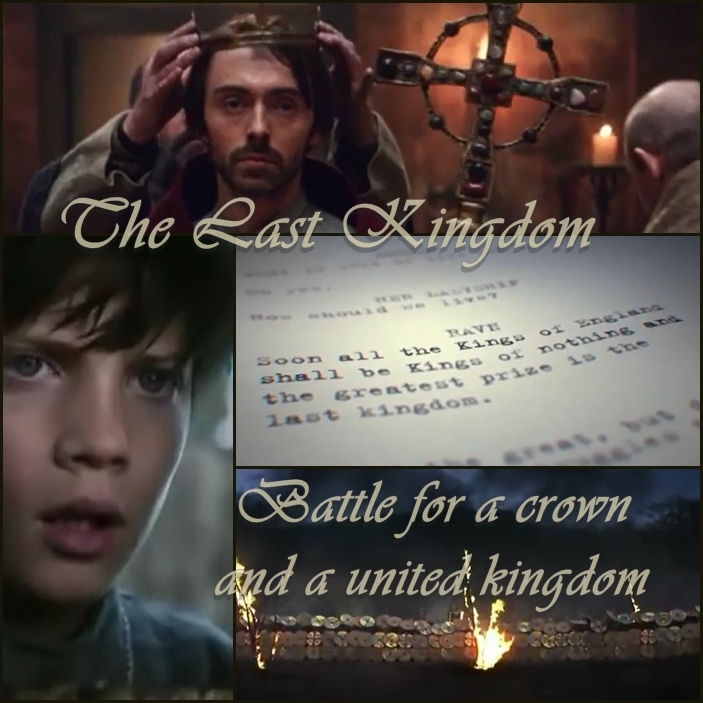 Great blog post about the upcoming BBC adaptation of Bernard Cornwell’s ‘The Last Kingdom’. David is cast as King Alfred. I’ve recently read the book again and I can really imagine David in the part. Can’t wait for the next book and the upcoming TV series!